The Chrisanns Beach Resort is a lodging establishment that Jamaica visitors are encouraged to keep in mind. Primarily an adult-oriented hotel, this casual retreat to the near east of Ocho Rios offers privately-owned condo units that feature kitchens, air conditioning, and full furnishings. Daily housekeeping service is available at no extra charge, and guests can choose to pay a little bit extra to have a cook prepare their meals for them. Convenience and relaxation are the names of the game, and the rates aim to please. 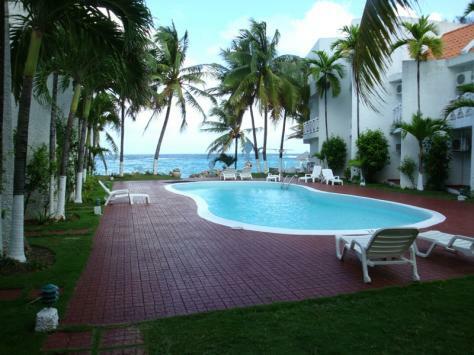 The Chrisanns Beach Resort is actually just three miles east of Ocho Rios. Also close by is Dunns River Falls, which is a major area attraction. Shuttle service is available for getting to and from town, and it can also be relied upon for trips to a variety of local attractions. A pool and patio area figures among the resort’s general facilities, and there is a restaurant right across the street. Also worth noting is the fact that the Chrisanns Beach Resort overlooks its own private beach area. All things considered, it is easy to understand why this small resort has little trouble keeping its guests happy.